Although Mr Mess and I have been together for almost 12 years now, we have never ever been to see a concert together. That’s not because we don’t share a taste in music. It’s just that we have never found anyone we both really wanted to see. Mr Mess would say that I have an “eclectic” taste in music, which I think means that I like some music he agrees with and some he thinks is rubbish. However, over the years he has introduced me to some singers and bands that we both have come to love. One such band is Nathaniel Rateliff and the Nightsweats. Mr Mess first heard them perform on TV and introduced me to their music soon after. He mentioned that he’d love to see them live one day. As luck would have it, I found out they were touring the UK this year and so I quickly booked tickets to see them at the O2 Academy in Leeds in November. On the day of the concert, time was definitely not on our side. We had to finish work, drop the girls with their Nana and make it to Leeds by 7pm. I’ve only been to Leeds a handful of times, so I’m not familiar with it all. Still, we just managed to arrive in time to grab a Subway (hmmm, meatballs) and then get in line outside the venue. Having never been to the O2 Academy before, I wasn’t entirely sure to expect. The venue was very like Rock City in Nottingham (which won’t help if you’ve never been there either!) but basically it was a large, open, nightclub-like space with bars dotted around. At the opposite end was the stage area and we were lucky enough to get really close – about 3 rows back! Now it’s been a while since I’ve been to a “gig” (if I ever really have) but I was a little surprised to discover that although the tickets said 7pm start, the support act didn’t even hit the stage until 8.15pm. I’m obviously not cut out for the rock and roll lifestyle – my feet and back were killing me before we’d even gotten started. Luckily once the concert started, it was so good that I forgot all about my aches and pains. The support act was a guy called Ed Harcourt, who I’ve never heard of before but will definitely be keeping tabs on in future. His music was awesome! From the moment he started playing, it was clearly something original and special and I was instantly hooked. His songs were powerful and dark and he played so many instruments he made my head spin! One incredibly talented chap! 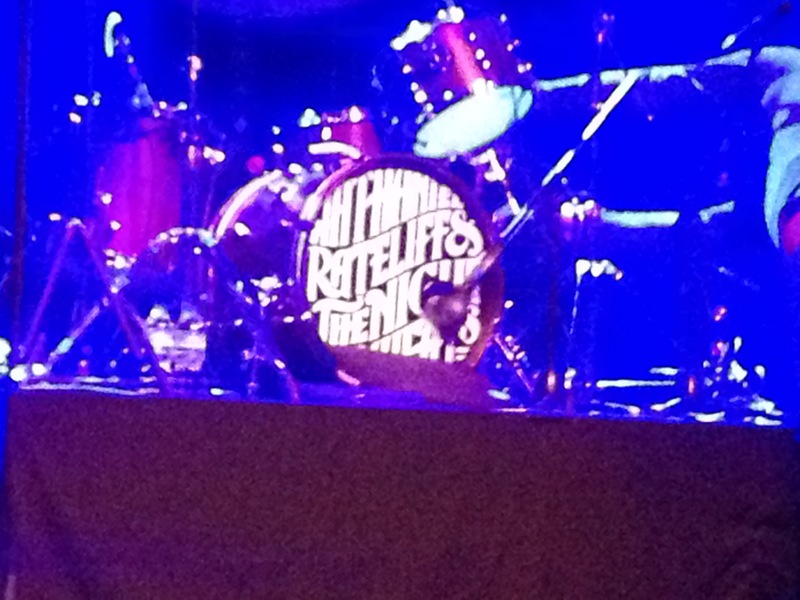 At about 9pm it was time for the main event and Nathaniel Rateliff and the Nightsweats finally took to the stage. There were seven performers in total in the band. I’m not going to mention each member by name, as I’d no doubt get them wrong but they were all fabulous. Their enthusiasm and enjoyment was infectious. The whole crowd was dancing and singing along. Although I’m only really familiar with one of their albums, I was really pleased to find that I knew most of the songs that they performed. I sometimes felt like I may have looked a little serious to an outsider, like I wasn’t enjoying myself. The truth was, I was so focussed on absorbing every moment of the concert. There was so much to watch. The guitar player was bopping about, the piano player was killing it, the guys on the horns were swinging about! I didn’t want to lose myself in dancing and singing and miss a single second. The evening was not completely without drama. I do tend to attract it at these sort of events. A lady, possibly inebriated, was enjoying herself a little too much and dancing quite wildly with little thought for the people around her. I narrowly avoided a black eye on a number of occasions. Eventually she was confronted by another audience member and stormed off in a huff! When the band played their most popular number, “S.O.B”, the crowd went absolutely insane. It was a truly awe-inspiring experience. We had an absolutely fabulous evening. The best part was watching Mr Mess enjoying himself. It’s so rare to see him be relaxed and just let loose. After the couple of years we’ve had, it was wonderful to see him so happy and even nicer to think that I helped with that. It made a great experience even more special. We drove home (well, Mr M drove while I rested) chatting and smiling. We both agreed we’ll definitely be on the look-out for future tours and would love to see Nathaniel Rateliff and the Nightsweats again. Hopefully, in the not-too-distant future. 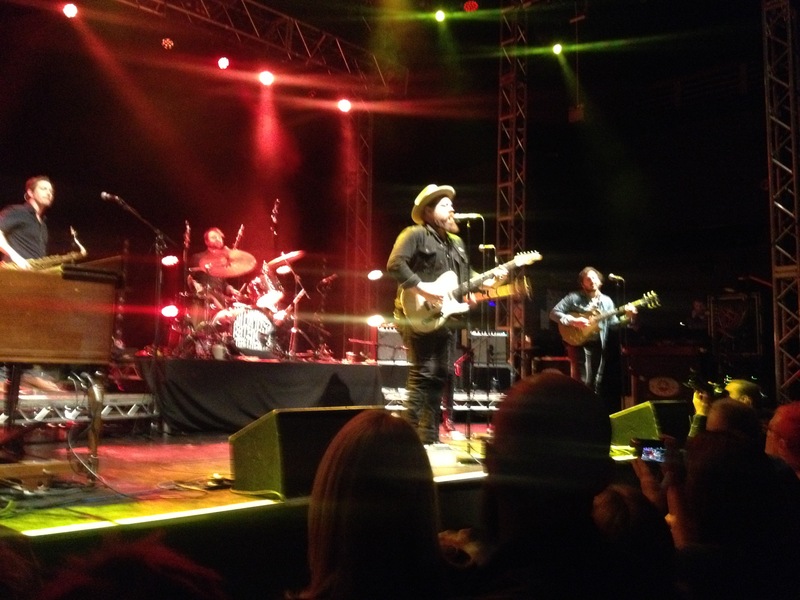 This entry was posted in Review and tagged leeds, music review, nathaniel rattled and the night sweats, o2 academy.